Forty years ago a signal–called the Wow! signal–was obtained from space. Some speculated that it might be from an intelligent alien source. Read Wow! Communications from little green men? Now it is argued that that it was not from little green men, but from a comet. Such is the hype around detection of a signal from aliens that common sense is ignored. Well, time, real science and cool heads have won out. The original source has been found. The comets, P/2008 Y2(Gibbs) and 266/P Christensen, which were not known back 40 years ago when the Wow! Signal was first obtained, appeared again in the night sky from November 2016 through February of 2017. The team reports that radio signals from 266/P Christensen matched those from the Wow! Signal 40 years ago. To verify their results, they tested readings from three other comets, as well, and found similar results. The researchers acknowledge that they cannot say with certainty that the Wow! 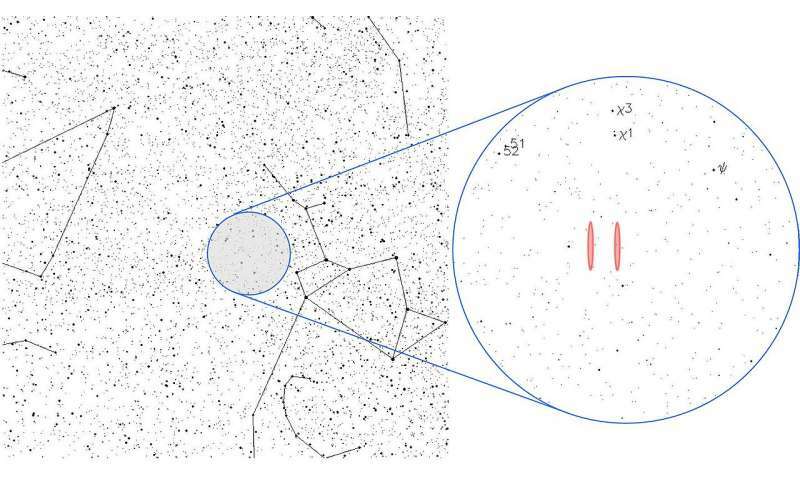 signal was generated by 266/P Christensen, but they can say with relative assurance that it was generated by a comet. 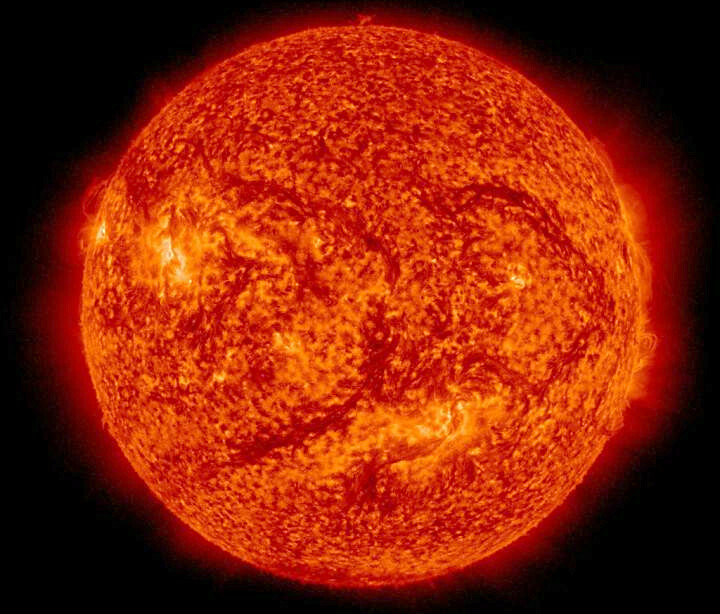 Figure 1: This image of the Sun was taken by NASA Solar Dynamics Observations mission on 15 July 2015, at a wavelength of 304 Angstroms. Note: No sunspots are visible. Credit: NASA Solar Dynamics Observations. This is the conclusion of research presented at the National Astronomy Meeting in Llandudno in Wales, by Professor V. Zharkova (Northumbria University) and a team of other well qualified scientists. 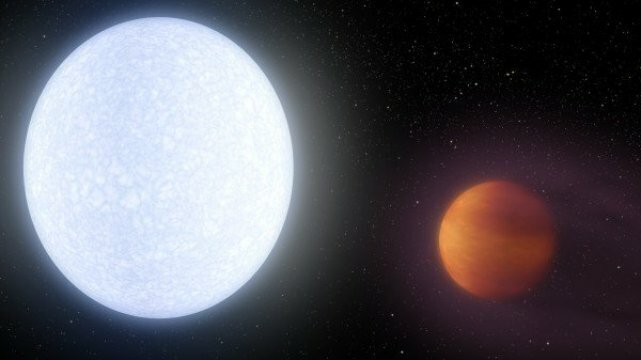 Astronomers from Ohio State University and Vanderbilt University have discovered a planet with a surface temperature hotter than most stars. The planet KELT-9b has a surface temperature of 4600 K, only 1200 degrees K (about 2000 degrees F) cooler than the sun. The planet must have a warm yellow glow. The astronomy team presented their results in the journal Nature and at a presentation at the American Astronomical Society spring meeting (2017). They found the planet, which is 2.8 times more massive than Jupiter, but only as half as dense, to be continually bombarded by stellar radiation from the nearby star. As a result its day side is so hot that molecules such as water, carbon dioxide, and methane can’t form there. It is not known what the night side is like. It is speculated that molecules may be able to form there, but probably only temporarily. The planet is tidally locked to the central star KELT-9, which, at least, shields the night side from the intense radiation. The environment of this planet is a far cry from the ideal environment God has created for life on Earth. Certainly life as we know it could not exist on a planet such as KELT-9. And considering that its atmosphere is constantly blasted with high levels of ultraviolet radiation it is unlikely a place to find any sort of life. A planet hotter than most stars, ScienceDaily, June 5, 2017.